90% of the people on this forum probably hate this as well. The M3/4 isn't as fun as the regular M2 and this should be even better than that, so I can see the excitement over its bigger brothers. Original M2 made more sense to me because it was about $14k cheaper than an M3. That seemed like a reasonable compromise for less power, slightly cheaper interior, and the smaller packaging of the 2 series. The m2 competition? pretty sure its going to be basically the same price as the M3. It's going to run a slightly WORSE powertrain (lack of heat exchangers - rumor), be just as heavy, still have a cheaper interior. What are you getting for your money? A shorter wheelbase? I don't get it. This thing borders on Porsche levels of "watch what we can sell to these idiots" levels of marketing stupidity. Dude, you are SO dramatic and SO black and white. When someone says they prefer one BMW over another, you hear, "I think that car is trash and the other one is incredible". I've driven a regular M2 and an M3 back to back and the difference in engines is not what's notable. While I like 95% of the changes here I think I prefer the kidneys on the previous.. Also undecided on the wheels but they will probably grow on me. In one of the pics you posted it says otherwise? People say something bad about BMW, serious flies off his rocker. People say something nice about BMW, serious flies off his rocker. People like GT3’s, serious flies off his rocker. People dislike something Porsche does, serious flies off his rocker. It’s almost like there’s a pattern. I’d still have an M3 competition over the M2CS, but I’d probably take an M2CS over an M4. :/ n55 kills it.. No interest in a M car without a M (S branded) motor..
Color choice is pretty poor as well. I've been looking forward to this car ever since I found out that the 1er was being replaced by the 2. I clung to hope (foolishly) that BMW would take this opportunity to build a new old-school M car - a light weight, smaller car with a bespoke naturally aspirated engine (or at least a bespoke engine). I had hoped that BMW would prove to enthusiasts like us that they had not forgotten about their roots, and that they can still build awesome cars. In the late 1990's, SUVs were exploding in popularity in America. American car companies had been building them for a long time, but German car companies were caught flat footed. They rushed into the market with terrible offerings (i.e Mercedes-Benz ML and the original X5). Before long, the automotive press as begging BMW for an M SUV. The then head of BMW M worldwide famously responded to a journalist at a press conference for E39 M5 by saying "There will never be an M SUV". You're right... it looks terrible! Ehhhh not as aggressive as I was hoping/expecting...especially the rear quarter section. Fenders and shoulders are way to under-pronounced. Most disappointing car of 2015? I think so.. It looks SO retarded in that picture. I can't believe how over-worked BMW cars are getting. Jesus christ, that front bumper... The rest of the car is alright, but that takes a mediocre job and just takes it to new levels of ugly. Awesome. 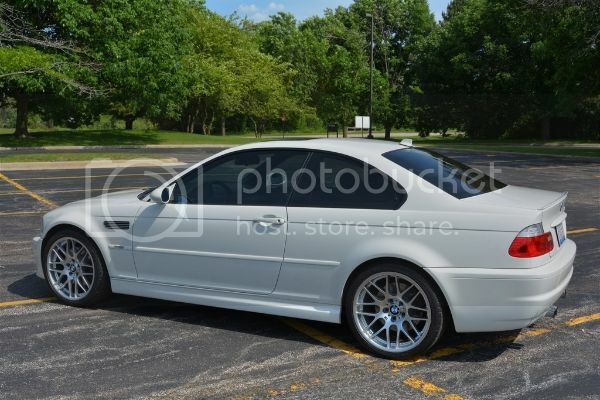 It is almost as light as an e46 and has almost the amount of HP of some of the N/A e46's on this forum. Sweet. I would rather have my car the an M2. M Cars used to have bespoke engines and a raft of impressive enhancements upon their base platform counterparts. They used to look, sound and feel really special. Now, they're just special. People here aren't just being curmudgeons en masse for fun, they're voicing legitimate observations. More like M number two. Christ this thing looks stupid. So what are the differences between the M235 and the sorority girl version M2? All you are doing is reinforcing my comment of the M2 being the most overhyped car of 2015. Keep it coming man. To me personally, this car is a joke. Given that every other car they make currently is completely dismal, and this one is following the same formula, no. What made the E36 M3 good is not present here(assloads of feedback). Breaking News: BMW M2 is a No! Wow, what a fail this thing turned out to be. Could have been an epic enthusiast car with ties to the 2002 Turbo and E30 M3. Instead, we got a tarted up 2er with a sport package and the front bumper from a 370Z. Looks like it needs an orthodontist. I'm really trying to understand what makes it fun? Zero butthurt, Rave. I'm just not blind to the BS that the M2 is. I know some like to eat up the marketing, but this car isn't what a true M car has been about. And incase some of you forgot, I'm a full supporter of the f8x M cars, I think the i8 is a fantastic vehicle, and I'm open to owning a EPS equipped vehicle, like the m235. But I'm not going push rope like some of you and defend possibly the biggest disappointment to come from BMW, ever. Christ on a crutch, this car is ugly. I patiently waited for real details ITT before I posted. I know you all eat up the marketing, and thus are blinded to what I, and a few others, have been posting, but yes, what you ironically posted is exactly why this car has been a joke since real specs were released. One could pretty easily argue it's a worse 1M. The M division is back, guys. Probably wishful thinking but I hope they reworked the exhaust instead of simply carrying it over from the m3/4 setup. All times are GMT. The time now is 10:19:50 AM.